Investing in a premium theme is one of the most incredible decisions any website owner can make. Aside from the fact that you will have to pay for them, you get to enjoy more features and better customizability. You also get to enjoy first-class customer support and professional help from their team which really comes in handy whenever you have trouble with the theme or plugin. In this current age, there are thousands of premium themes you can choose from. This makes it really challenging for one to pick a single theme that will totally solve each of their website’s needs. Themify Themes are among the most adorable themes for any website as they come equipped with features that ensure 100% satisfaction for both the website owner and the visitors. The Themify Themes Company strives to offer the best services to people on any kind of budget. This company has been able to earn the trust of at least 54,000 users as their themes and plugins can easily turn a simple WordPress website into a responsive, faster and easier to operate version. Having built some of the most incredible famous websites of all time, Themify Themes is the company to turn to if you want a website that makes a solid statement for yourself, your business or brand. This web development company is definitely home to the most incredible themes and plugins ever to exist in this era. Some of the benefits you will get to achieve from Themify Themes are reviewed below. A website that is easy to use is usually a joy to everyone. Apart from the fact that it allows the user to easily find different components and elements of your website, this also gives both the user and the website owner peace of mind as the whole surfing and development problem is made easier and faster. The layout and general outlook of a website are one of the main factors that determine a website’s ease of use and Themify themes and plugins have been built with regards to this. Themify themes are easily customizable and really easy to use. First, they are present in a very wide variety of options including simple, responsive, flashy and even professional types. All these themes are easily customizable with options such as a widget-ready sidebar and ability to customize alignment and positioning of your web content. All these can be easily previewed before finally purchasing the theme via the demo button which allows you to view a live preview of each of the themes. In addition to the numerous themes developed by Themify, there are also multiple plugins and add-ons that can be accessed from the Themify website to help make customization of your website even easier. There is particularly one plugin by the name Themify Builder that is probably the best Drag & Drop WordPress builder. It allows the website owner to easily customize their media-rich website with features such as parallax scroll, sliders, animation and video backgrounds among others. These, in turn, make your website a show-stopper. A website’s functionality is often based upon its main purpose of existence. For instance, a children’s website should look and function differently from a company’s website. This ensures that the mood and statement are created by the website even before one starts scrolling through. All this is possible with Themify Themes. All you need to do is scroll through its various themes, previewing all the demos until you find one particular layout that totally befits your website. There are at least 50 themes for you to choose from, with each of them offering your site a unique look, statement, functionality, and experience. These themes are divided into 11 different categories based on their functionality including, Blog, Corporate, Ecommerce, Magazine, Multimedia, Portfolio, Responsive, Post formats, Restaurant, Featured and Free WordPress themes. All these come with different functions and features that ensure you get the ultimate experience with your website. Do you need your content indexed by search engines as fast as possible? Then you need to consider finding a theme that is SEO friendly. Themify Themes offers themes and plugins that are SEO friendly in that they ensure all the content included in them is 100% SEO friendly. Search Engine Optimization is one of the most effective free traffic generation methods used by websites to have their content visible to a wider audience and having an SEO friendly theme makes this possible. Even better is the fact that these themes allow you to translate your content into any language, which is great for SEO. All Themify themes are great for SEO as they allow you to easily optimize your meta descriptions, titles, headings, images, video and other media within your website. These themes and plugins make it easier for your content to move higher in search engine results. The responsiveness of a website is the main determinant factor of how easy and fast it is to use your website. Even with the greatest content ever, if your website is not responsive, users will be stuck to the homepage and finally, they will log out of your website and forget about it. Themify themes and plugins are designed and developed by a team of experts who understand exactly what it takes to have a responsive site. These themes and plugins are built using optimized code that is clean and light leading to them running smoothly. The most responsive languages are used in the development of these including HTML, PHP, and other compatible programming languages which in turn ensure great responsiveness. The main advantage that comes with Themify Themes in terms of responsiveness is that both the front-end and back-end of your website remain responsive, thus both the front-end user and the website developer/owner will always find it easier to use that particular site. Themify Themes and plugins are also responsive to all kinds of technology used to access the internet including mobile technology, tablets, computers and large screens. 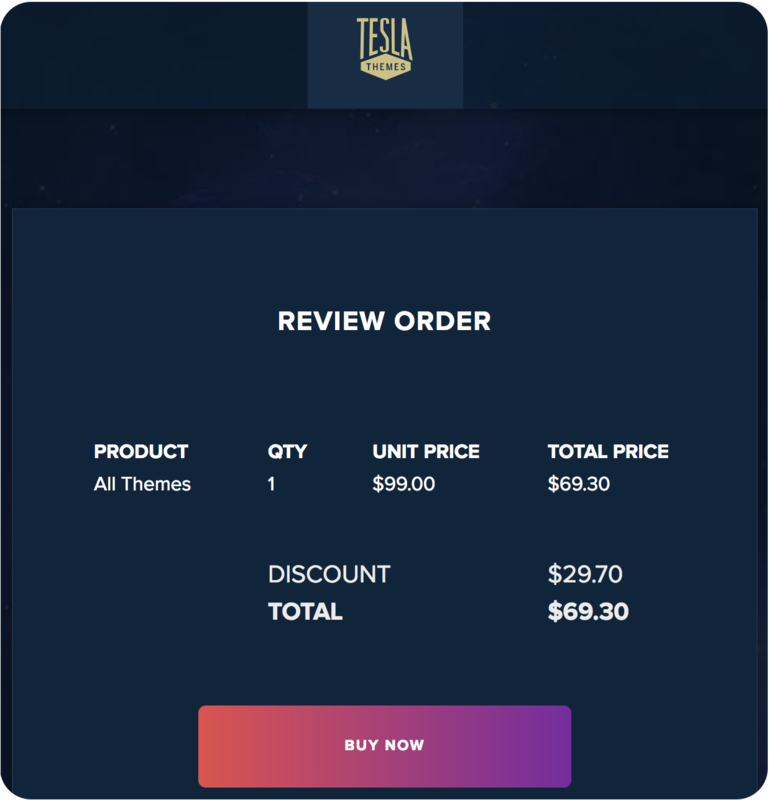 Of all WordPress premium theme developers, Themify is among the very few that cater for all budgets without compromising the quality of the product even for the cheapest ones. Themify Themes allows interested parties to access themes via the Free themes, Single themes, and Themify Club plans. The Free themes plan allows users to get the themes absolutely free of charge with no support of free updates. 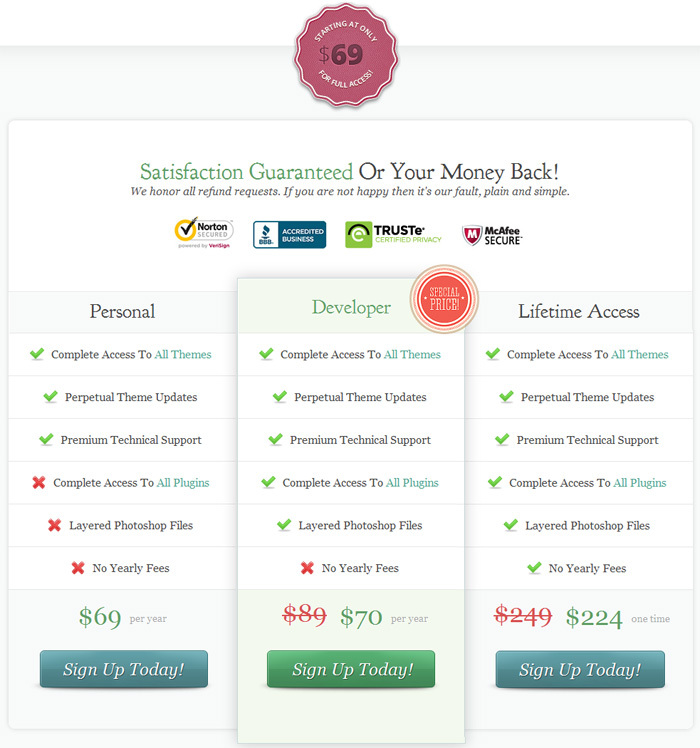 The Single themes plan makes it possible for users to purchase single themes, each at the cost of $49. The good news is that for every 1 theme bought, you get 1 free and also 1-year support and updates to the theme. The Themify Club plan is priced at $79 but it’s the most popular of all the plans, let’s find out why. The Themify Club plan comes in 4 packages; the Standard Club, Developer Club, Master Club and Lifetime Master. The Standard Club goes for $79 and gives you access to all the themes. You also get to access new themes with 1-year support and updates. 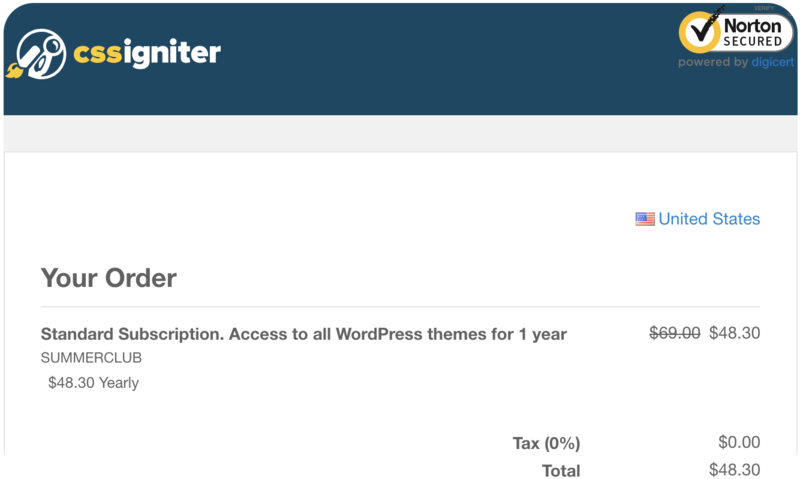 The Developer Club goes for $99 and with this, you access all themes plus the new themes and also Photoshop files and 1-year support and updates. The Master Club, on the other hand, is considered the best value package. It is priced at $139 and gives you access to all themes, plugins and Photoshop files. You also get to access new themes, plugins, and add-ons with 1-year support and updates. The Lifetime Master crowns them all with lifetime access to the Master Club at a price of $399. This gives you lifetime access to all themes, plugins, add-ons, support, and updates. All these plans allow you to use your themes and plugins on as many sites as you wish whether it is for personal, client or commercial use. Themify Themes is also generous enough to offer you great discounts on your theme plans. By tweeting a message to @themify, you will get an instant 15% coupon and if you subscribe to the Themify newsletter, you get a 10% off coupon code which can be used on all purchases except the Lifetime Club. During your membership, you get unlimited access and updates to your themes and also support whenever needed. There is also a 30-day money-back guarantee that allows the user to ask for a full refund within 30 days of purchase in case they are not 100% happy or satisfied with the themes or services. 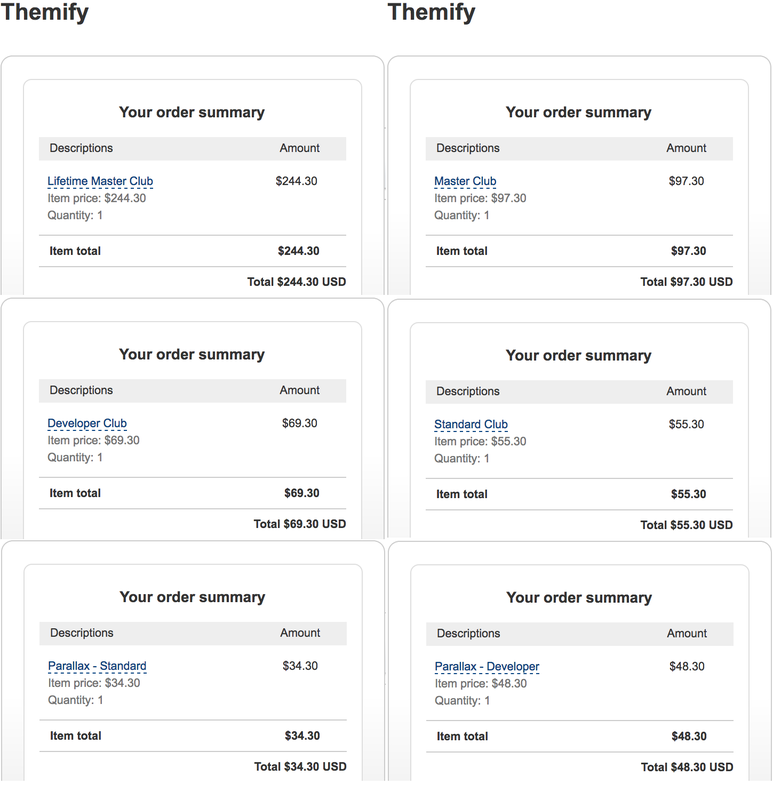 Payments can be made via PayPal and all the major credit cards including VISA and MasterCard. For both the website owner and user to be on the safe side, it is of extreme importance to ensure that the website is in safe and secure. Themify Themes have been developed using clean code that is compatible with different kinds of technology and latest programming languages. Themify Themes have been designed and built with security in mind, to ensure that both the website owner and visitor enjoy safe and secure use of each of the themes and plugins. Having been built on clean code, these themes and plugins are compatible with all WordPress sites hence reduced the probability of clashing of code and hence crushing of your site which translates to great loss. Backup, exchange, and transfer of all your data are made more secure by the fact that Themify Themes support FTP software or the downloadable FileZilla software. In addition to the numerous features that come with Themify themes and plugins, the unlimited updates on them during your membership helps a great deal in tackling and theme security issues at hand. The updates ensure that the themes and plugins remain compatible to the latest technologies, both software, and hardware, hence making them more safe and secure. Having your website’s theme updated from time to time is usually very important in ensuring ease of use, responsiveness, theme security and faster loading times are kept in check. Themify Themes offer unlimited updates to all your themes, add-ons and plugins throughout your membership, except for the free themes. All you need to do if you need the updates running is to turn on the automatic updates. Once your club membership expires, you will still own and use the themes and plugins you already downloaded, but you won’t be able to access any file downloads, support or updates. Though, you can still renew your club membership to continue accessing these or even upgrade the membership to access even better features and services. There is nothing that makes using a theme better than being able to easily access support and relevant documentation from the responsible authorities. Themify Themes get this better than any other company. Their support is at the reach of your fingertips as they give you the ability to reach them by simply hitting the contact button. All you need to do is fill their General Inquiries, Account/Billing related or theme/Plugin Support contact form with your query, send it to them and wait for their response. Even better, you should consider looking through the forum as there are so many questions and answers to most pressing issues experienced by users and buyers. You can also read through the Frequently Asked Questions for answers to some of your queries. The documentation section is also of great help. It covers all instructions and procedures you will definitely need to set up your themes, plugins, add-ons, peripheral software and theme builder among others. You can also access all the terms and conditions of use from the Themify website to enable you to understand how to use them correctly. 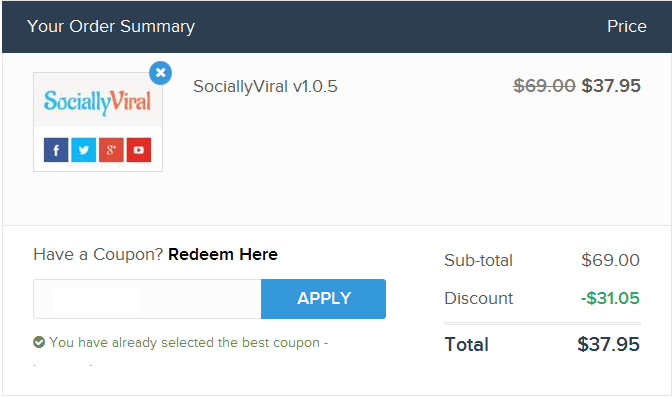 We’re offering special themify coupon just see above screenshot. 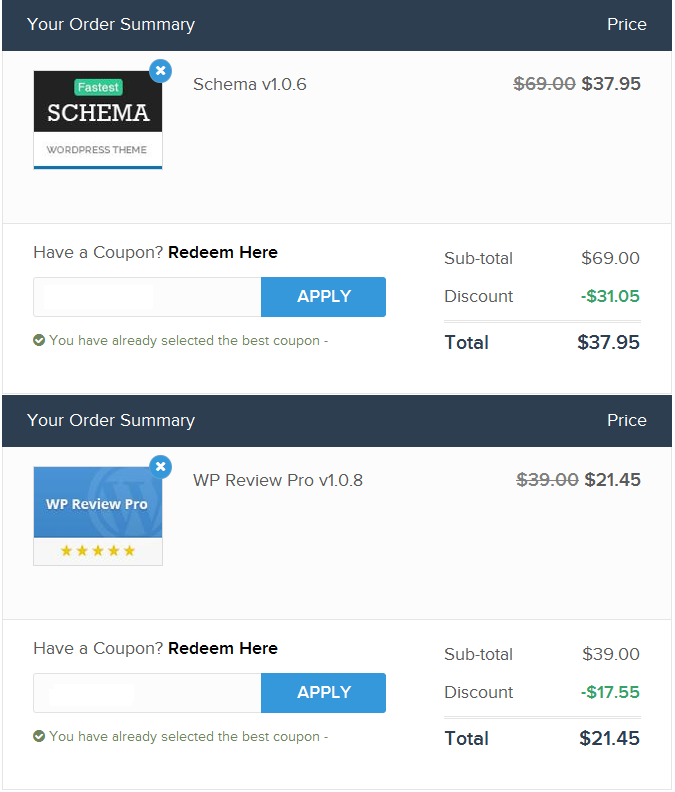 You can buy themify single theme’s Standard License for only $34.30 instead of $49; Developer License for $48.30 instead of $69; themify Standard Club Subscription for only $55.30 instead of 79; Developer Club Subscription for $69.30 instead of $99 and Master Club Subscription for only $97.30 instead of $139. Lifetime Master Club for only $244.30 instead of $349. Simply revel following coupon code and enjoy the discount. Themify Themes is not just a company, but a community of users who are enthusiastic about achieving the most responsive, easy to use and fastest online experience from their websites. With over 74,000 loyal customers, Themify Themes has been able to fly its wings out into the world and has, in turn, earned so much trust from the world. They do care so much about your satisfaction and this is evident from the quality of themes they bring forth for your use. They understand that you do not need to rob a bank for you to have a great website, so they build incredible free themes and excellent premium themes just for you. Themify Themes is evidently the best place to be if you need the most incredible service and unmatched products for your website.